Providing students with a quality education is essential if they hope to meet the demands of college and career. Plaza Heights Christian Academy believes that a student needs to be equally prepared for college and the workplace. It is our goal to provide the support, nurture and care that children need while offering appropriate academic challenges. In addition to offering a superior education, Plaza Heights Christian Academy believes it is important for a school bearing the name of Christ to train its students to think and live like Christ would. Developing students who see the relevance of having a Biblical Worldview in every area of life is our highest objective. Believing that all truth is God’s truth, PHCA offers an education that does not separate the academic from the spiritual. Our primary mission is to develop self-disciplined learners who are guided through life by a Biblical view of God, man and society. 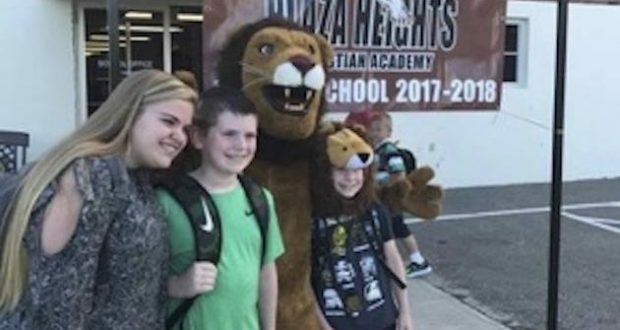 Originally established as a ministry of Plaza Heights Baptist Church in 1999, Plaza Heights Christian Academy is now an independent Christian school serving 265 students in preschool through 12th grade. 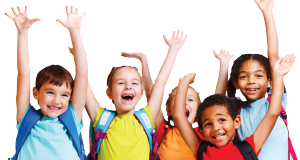 PHCA preschool-12th grade is fully accredited by the Association of Christian Schools International. Conveniently located in Blue Springs, PHCA attracts families from throughout the Kansas City metropolitan area. Enrollment information is available at Plazaheightschristianacademy.org or by calling (816) 228-0670. “I would advise no one to send his child where the Holy Scriptures are not supreme.” Martin Luther’s bold admonition reflects the teachings of both the Old and the New Testament. Throughout the Bible, God differentiates between light and darkness, wisdom and ignorance, saved and unsaved, and Jesus himself clearly teaches that “he who is not with me is against me, and he who does not gather with me scatters” (Matthew 12:30). Whether you have been committed to Christian education for years or whether you are just now exploring the possibilities, consider the following from this perspective: How can Christian parents best fulfill their obligation to train and nurture their covenant children (Deuteronomy 6:4–8)? Specifically, what type of education effectively prepares children for “works of service” (Ephesians 4:12)? Second, the phrase “Christian education” should encompass more than the study of religion. Unfortunately, many evangelicals have too narrow a definition. Christian education, they think, takes place only in Sunday school, during Bible studies, or at home during family devotions, but this view is too limited. The apostle Paul exhorts us to “take captive every thought to make it obedient to Christ” (2 Corinthians 10:5). Saint Augustine wrote that “every good and true Christian should understand that wherever he may find truth, it is the Lord’s.” Reflecting the same conviction, John Calvin wrote, “We shall neither reject the truth itself, nor despise it whenever it shall appear, unless we wish to dishonor the Spirit of God.” True Christian education relates God’s Word to every aspect of life. Third, a Christian school is not a “safe house” from the world. Many well-meaning parents think that the Christian school offers protection from the evils of the world. A Christian school is not a guarantee against sin. The difference, however, is that the Christian school disciplines by teaching students about God’s demands, and His forgiveness, grace and mercy. 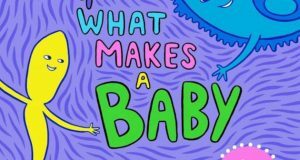 Finally, the Christian school is not a reform school for families who have exhausted other options to solve their problems. The Christian school should be their first choice, the place where Christian families, the church, and the Christian school can prepare students for effective lives of service in God’s kingdom. We are living in what some have labeled a “Post-Christian Age.” In Against the Night, the late Charles Colson described our “barbaric” and “decadent” times as “The New Dark Ages.” The church itself is reeling under the onslaught of secularism as noted by the late Francis Schaeffer in The Great Evangelical Disaster. Waging an all-out attack in order to win people’s hearts and minds, secular forces are winning on many fronts, including education. How should Christian families respond? Clearly, we should never despair, for the Bible teaches that “the earth is the Lord’s” (Psalm 24:1), that God’s Word will “not return … empty,” (Isaiah 55:11), and that the “gates of Hell will not overcome” His church (Matthew 16:18). God’s purposes and plans cannot be thwarted! The Bible clearly states that the unregenerate mind cannot please God because it places man at the center, assumes that human beings are basically good, actively suppresses the truth about God, and denies the supernatural realities of heaven and hell. The regenerate mind, from which Christian education flows, affirms the opposite: God is the creator and ruler of this universe; human beings, sinners from birth, are in need of redemption; all truth is God’s truth; and, man is not dependent on human reason alone. A genuine Christian education provides a quality liberal arts education that glorifies Jesus Christ and prepares students for lives of faithful and obedient service to Him. The Bible is the integrative force, and all administrators, faculty, and staff personally know Jesus Christ as Savior and Lord. Christian education is an acknowledgement about God’s world. He created it, He holds it together, He rules it, and we have an obligation to learn all that we can about it. We aren’t simply learning about math, science, and history; we are learning about God’s world. Christian education seeks to produce competent graduates who know the world as well as the One who created it. Christian education is an attitude related to God’s Word; therefore, studying God’s world from the perspective of the Word is critical. We can understand life only as we view it through the “spectacles of Scripture.” “For with you is the fountain of life; in your light we see light” (Psalm 36:9). Seeking to bring all thought and activity under the lordship of Christ, we want our students to be passionate about their God, their lives, and their call to service. Christian education is an ambition to do God’s will. Because it is a lifelong process of transforming our minds, Christian education spans “the cradle to the grave.” We want our students to be “mal-adjusted” to this world, to see the sin in themselves and in the world, and to commit their lives to the pursuit of justice, compassion, and integrity. “We want our children to be in the ‘real’ world.” What is the “real” world for Christians? Is it a world informed by secularism, or one dominated by the love, reconciliation, and forgiveness of Jesus Christ? “We don’t want to abandon the public schools. 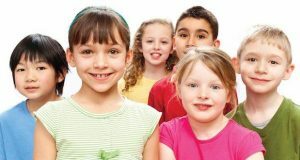 We want our children to be a witness there.” Should the youngest members of God’s kingdom be on the front lines, or is it wiser first to train and prepare them much like we would care for young plants in the garden? “We would like to have our children in the Christian school, but we can’t afford it.” What better stewardship of personal and church finances than to use them for the education of covenant children? “Wisdom is supreme; therefore get wisdom. Though it cost all you have, get understanding” (Proverbs 4:7). “The Christian school is hypocritical.” Christian schools do not claim to be perfect or without their share of sinners any more than churches do. The difference with the Christian school is the way in which it deals with the sin, how it models restitution and accountability, and how it encourages repentance and restoration. “We will tell the next generation the praiseworthy deeds of the Lord, his power, and the wonders he has done. He decreed statutes for Jacob and established the law in Israel, which he commanded our forefathers to teach their children, so the next generation would know them, even the children yet to be born, and they in turn would tell their children. Then they would put their trust in God and would not forget his deeds but would keep His commands” (Psalm 78:4–8, NIV). The Christian school, working together with the Christian home and the church, exists to fulfill these scriptural promises. The Christian school longs to introduce its students to the source of all truth. Therefore, the decision for a Christian education is the best choice a family can make. This is the mission of the Christian school.